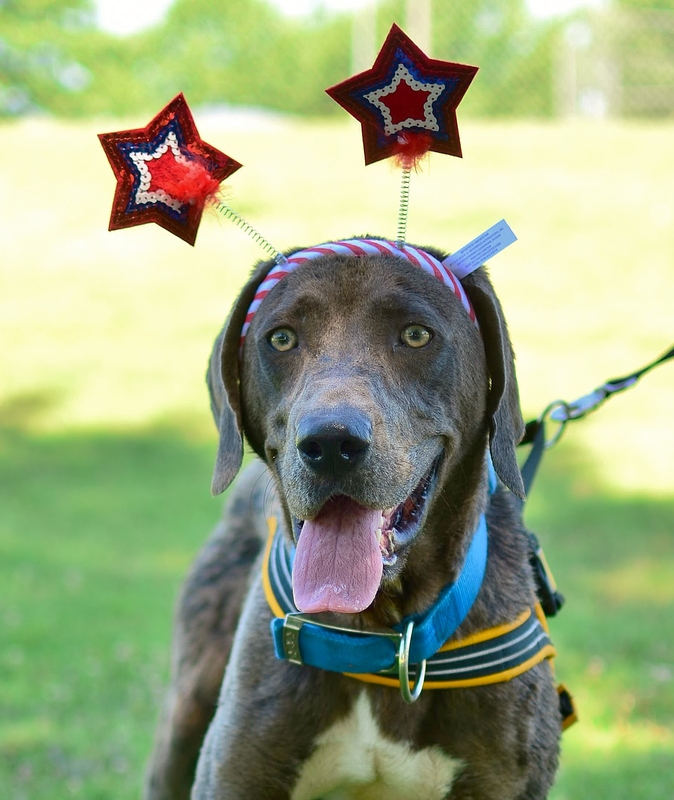 Bo is a year-and-a-half old Weimaraner mix who is highly athletic with a lot of energy. This breed is not for just anyone, no matter how cute and expressive their faces may be. Weimaraners can be demanding dogs who require strong leadership and a lot of exercise in order to maintain an even temperament. Though they are active and require a lot of outdoor time, Weimaraners expect to live indoors with the family and soak up as much affection as they can get. 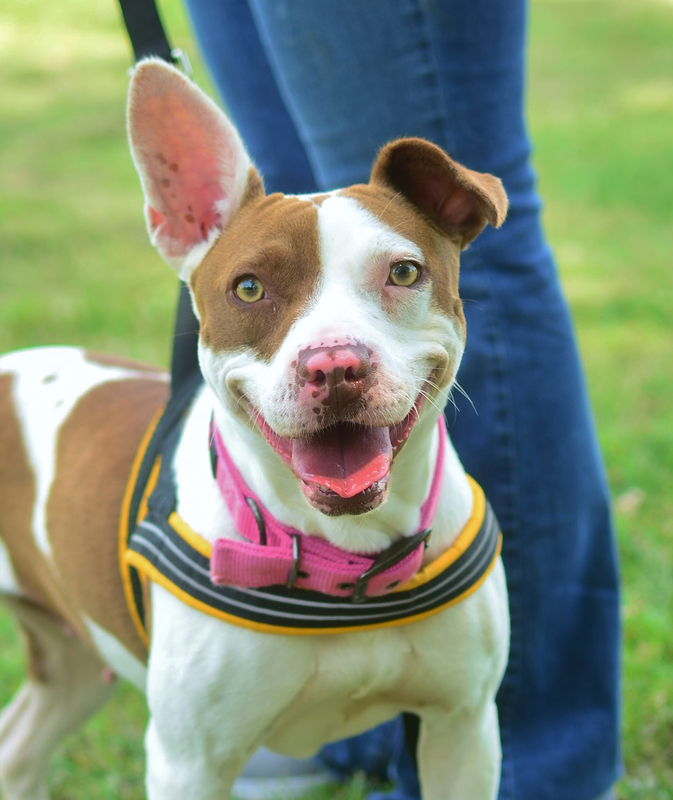 For outdoor oriented families who have experience with dogs, Bo can be an excellent companion and exercise buddy. Snickers is a four to five-month-old panther black kitten with a perfect white circle on his chest. He adores other cats and especially playing with other kittens. He’s a “pounce machine” who’s mastered several effective wrestling moves involving keen aerial attacks, nicknamed the “jump and smack” technique. He is growing into a slick and sleek young man of a cat. If his acrobatic antics don’t entertain you, his dreamy golden yellow eyes will hypnotize you. 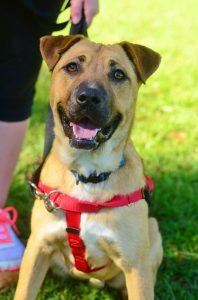 Neil is a young Shepherd blend whose yellow tan coat, black muzzle, and brown ears make him a visual standout. Dogs and children are his favorite companions and he has the perfect amount of energy for easy training and fun playing. It’s possible that he did not enjoy much fun with people during his earlier life, so he performs his own people “vetting” before revealing his silly, warm, and cuddly side. Rolling and stretching his body on the grass is one of his favorite activities because it feels so darn good. 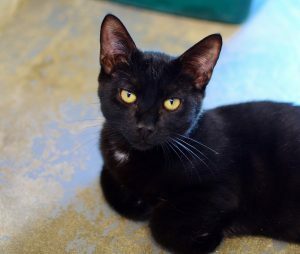 Neil is ready for a new home and hoping for the person or family who will come and sweep him off his paws. Monkey was discovered strolling around by herself, whether she was lost or left isn’t known. But this independent kitty didn’t seem bothered much because she likes doing her thing, and she expects others to do theirs. 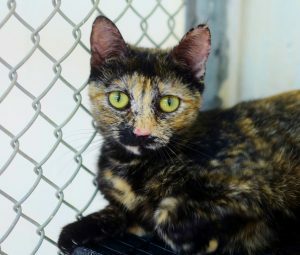 Her tortoiseshell coat is splotched with sunrise orange, onyx black, and ivory white. It’s a unique coloring blend that serves to either camouflage her when she prefers to be unseen or spotlight her when she wants love and attention. When the spirit moves her, she will brush your ankles with her soft, silky coat as she weaves “circle eights” around your legs. Monkey would be happy as an indoor/outdoor kitty, but watch out. She likes to explore and may take to the road again. 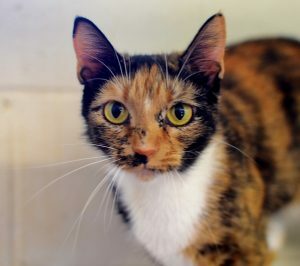 At the end of the day, a comfy lap to settle in for cuddles is really what this little princess wants. Orcs travel from their dying world to Azaroth. They are using a mystical power source called the Fell that feeds on living things. They need to gather many humans, demi-humans, etc on the Azaroth side to bring over the rest of their population. The Human kingdon at Stormwind is opposing the Orcs and receive no support from the other races of Azaroth. The Humans seek the aid of their Guardian (think Gandolf) of Azaroth. The Humans end up capturing a Half-Orc for information on their new enemy. The Humans wage an attack with their remaining forces to stop the Orcs from opening a gate to their homeworld and prevent the rest of the Orcs from coming through. TL;DR Meh. All over the place plot. Pure setup for a franchise without good storytelling. Save your money and wait for it to hit Netflix or SyFy. 3-year-old Ben was a lost dog found by Animal Control. 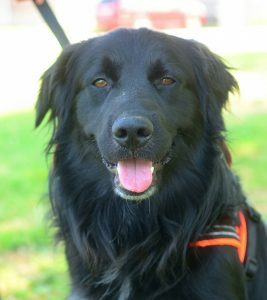 He appears to be a Rough Coat Collie mix, although more importantly what we do know is that he is simply a wonderful dog. This laid-back fella loves everyone and is the epitome of what “going with the flow” looks like. His gorgeous, thick black coat makes him a standout in any crowd. Ben is a herding dog who is sensitive and intelligent, has an undying loyalty and amazing ability to foresee his owner’s needs. He is an ideal family dog and companion. Gatsby is the “Chatty Kathy” of the Adoption Center. In fact, he was awarded a plaque for his achievement. In hindsight he should have been named Lassie because the tone and urgency of his talking would lead you to believe that, indeed, there is a Timmy is in a well. 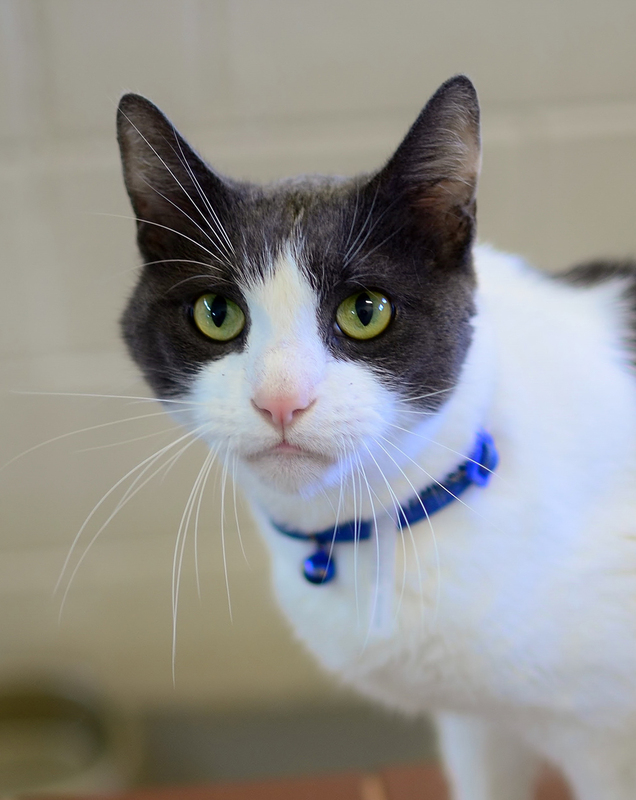 Gatsby is a big guy, 5-years-old, and spots a handsome gray and white short coat. He is a social mingler and enjoys the company of other cats. Visit Gatsby and help us understand what he’s trying to say. Perhaps he’s simply expressing his want for a forever home.